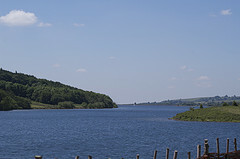 With a capacity of over 35,000 megalitres, Carsington Water is England’s ninth largest reservoir. To put this into perspective, the surface area of the water is equivalent to 700 football pitches and its deepest point is equivalent to the height of 7 double-decker buses. Because of its size there is so much to do around the area and plenty of activities to get stuck into on the water itself. There are numerous bike trails around the reservoir and if you don’t have your own bike, there is ample opportunity to hire one. If cycling isn’t up your street then how about pulling on a pair of walking boots and taking a stroll? There are so many scenic footpaths along the reservoir that connect up to a network of trails. As Carsington Water sits on the edge of the Peak District National Park, whatever you decide to do will give you the chance to take in some breathtaking scenery. For those of you who want to take the plunge and branch out onto the reservoir itself, the Watersports Recreation Centre is bound to have something that you’ll want to try. These activities range from yacht courses and powerboating to canoeing and kayaking and are great if you want to embrace your adventurous side. As a more calming venture, bird watching is very popular among visitors. The sheer diversity of bird and animal species at Carsington make this a very rewarding experience if you’re in a hide or just walking along a footpath. Furthermore, over 30 species of mammal have been seen at Carsington from Whiskered Bats and Red Deer to Water Shrews and Otters, which is testament to the importance placed on conservation. 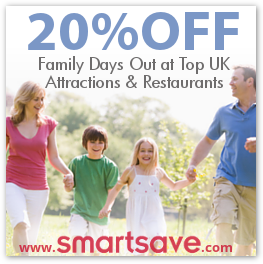 So if you just want to get out of doors for an afternoon or are planning a break in the area, Carsington Water boasts a selection of activities that you’re bound to enjoy. Opening Times: Reception 8am-6pm. Please see website for bike hire and other activity times.